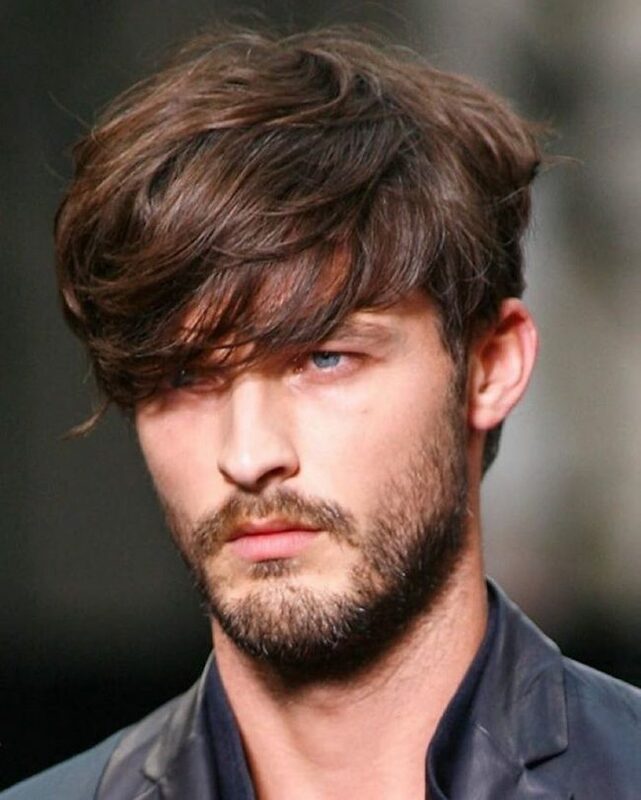 Why would anyone choose symmetrical cuts when asymmetrical haircuts for men can be just as neat and polished? These styles help create volume and height and are also a great canvas for interesting details and colors. You can choose a tousled texture or opt for a super neat look – it’s all up to you! In this picture chin length hair has been snipped back into a blunt mushroom cut, however, one section has remained long. While the undercut is brown the rest of the hair has been dyed shocking neon blue. 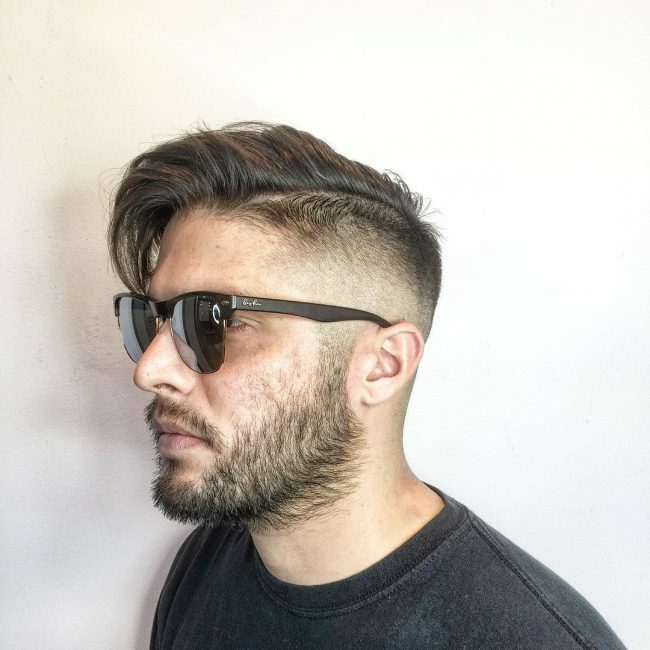 In this cut, the hair has been parted off center and a graded brush cut runs up into the parting. The other side of hair has been left longer and combed over. Interest has been created by shaving the hair right down over the ear. A much younger Brad Pitt shows us an interesting off balance look. Large blonde highlights have been applied over a dark base and the locks have been blown out. The hair was then jaggedly parted just above the left ear and the longer hair flipped over and styled to a spiky look. 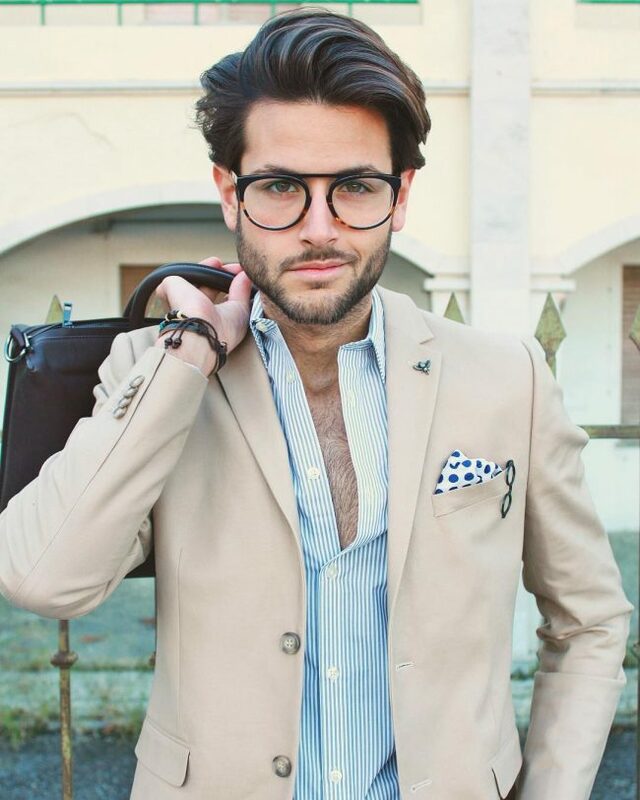 In this picture, we see a young man with a unique style. It begins with an undercut on one side and a deep brown to sorrel ombre. The hair has then been blown out to have loads of texture and styled to wrap down over the eye. 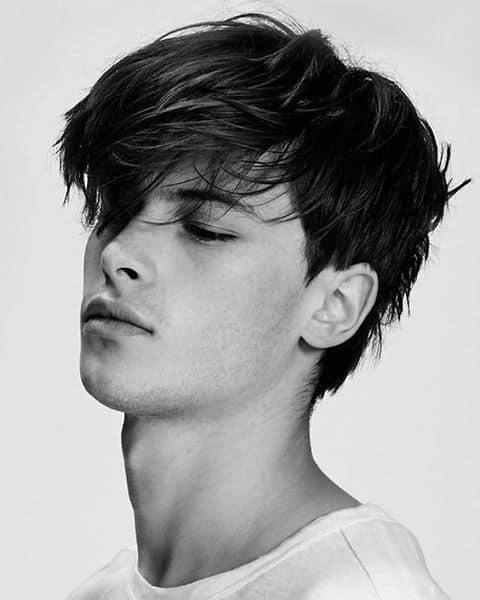 Long tendrils of hair sweep over onto the face and protrude from the mass of waves piled on the right-hand side of the head. A very low undercut has been performed just above the nape of the neck. Here we see shiny dark hair that has been scissor cut to create layers and texture. The hair on the right-hand side is slightly longer and has been messily brushed forward. 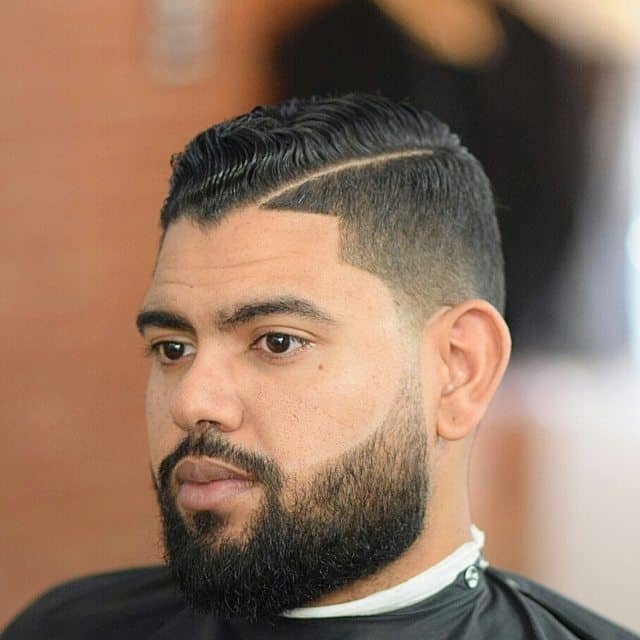 Here a blended undercut has been performed along the sides to trim the hair to the same length as the facial hair. The rest of the hair has been cut to have various lengths with choppy edges and then given a tousled look. 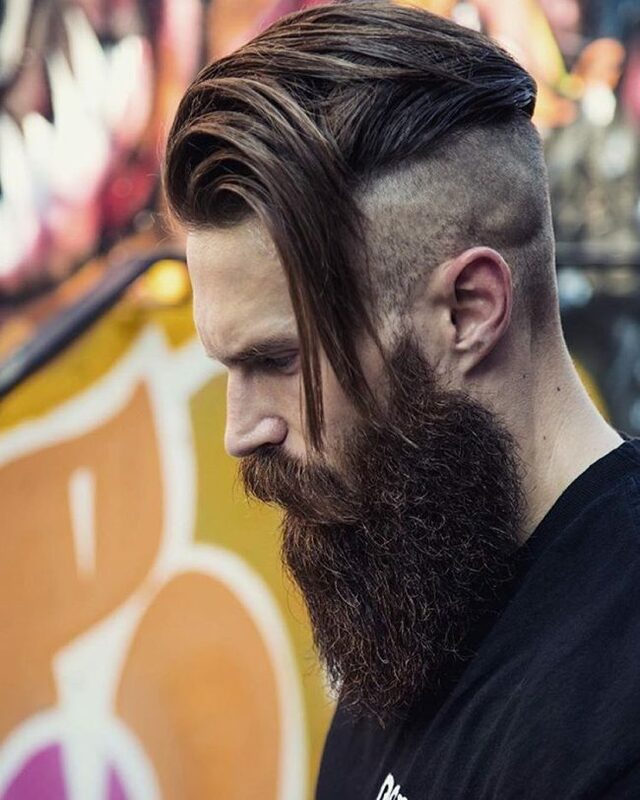 This guy has let his locks grow out on top while the back and sides are shaved into a tight undercut. 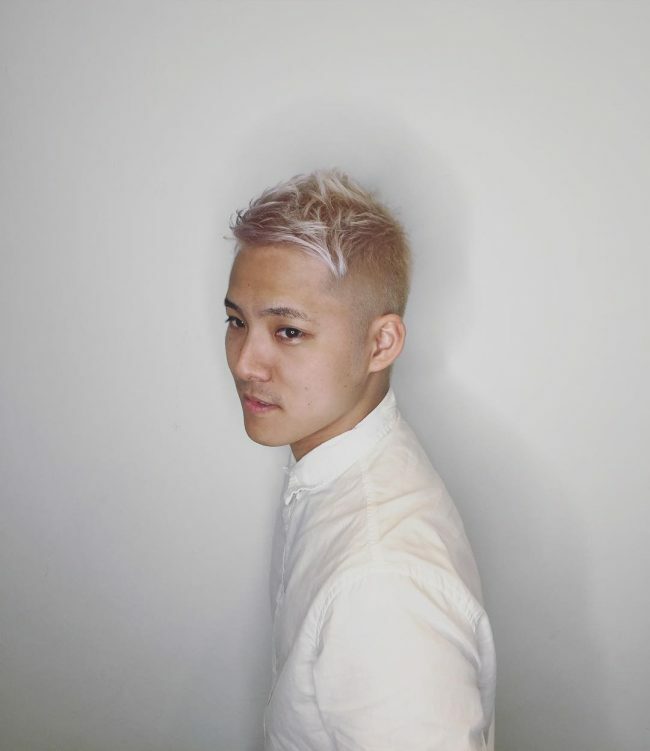 He has a dark base color with a light gray/white ombre that has been combed to fall over the undercut. 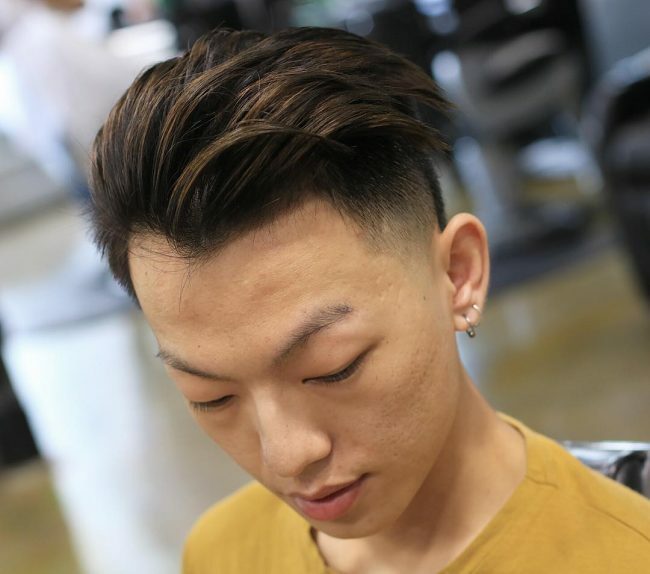 His chestnut hued hair has been allowed to fall naturally along the crown and small sections have been ironed into waves which fall just past the eyebrows. 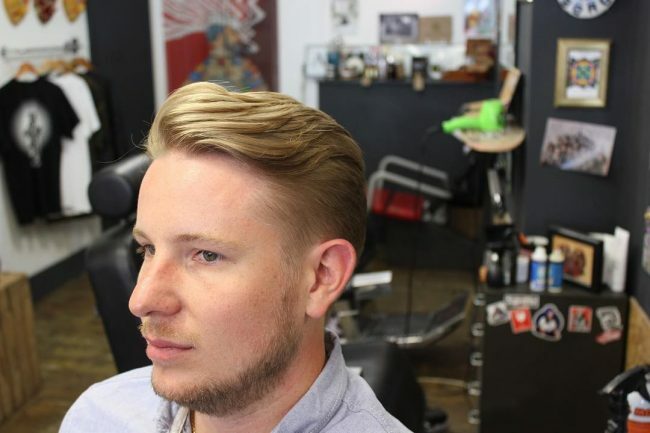 In this picture we see a high, tight undercut on the left-hand side while the hair on the other side of the parting is long, falling to the shoulders. This long hair has been highlighted with a golden blonde color which adds shine. 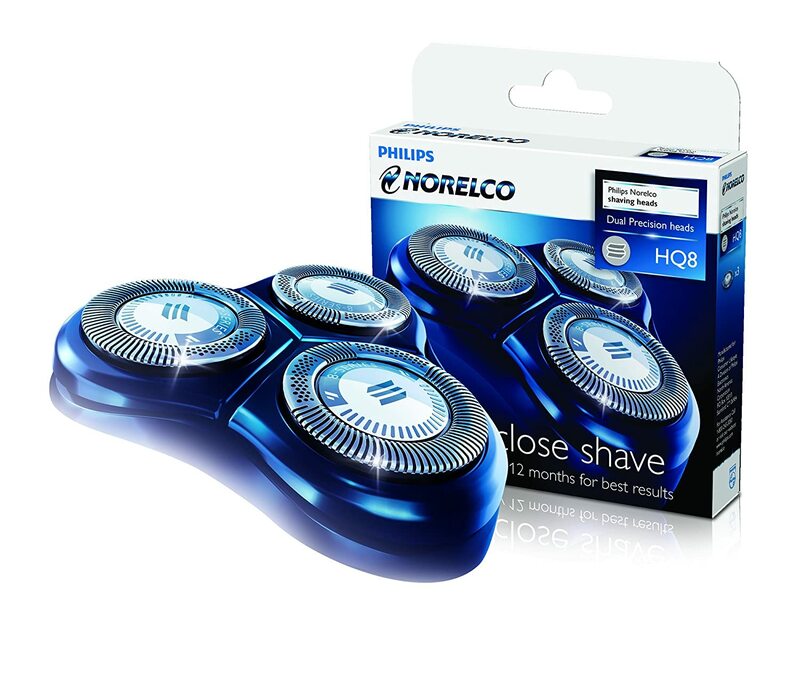 Here the sides have been given a razor cut while the top hair has remained slightly longer. 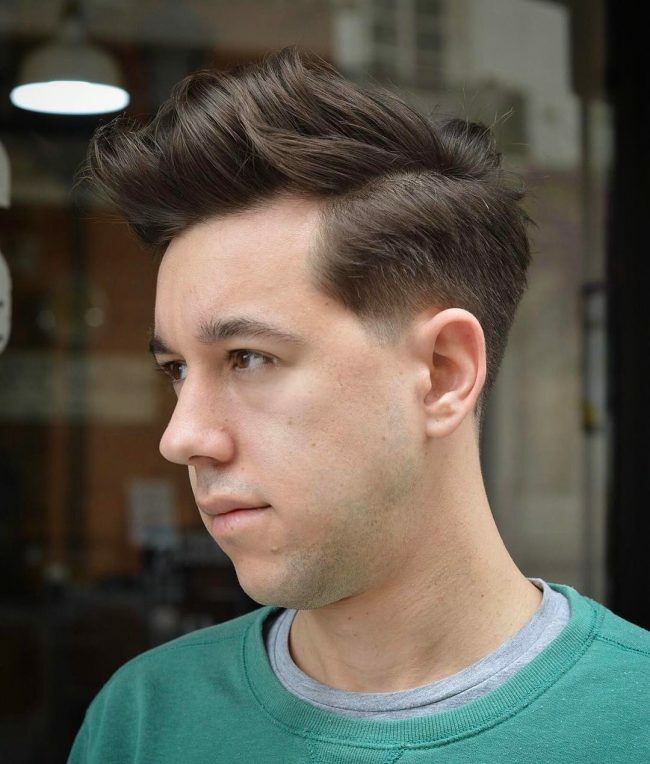 This walnut-brown hair has been styled into a neat coif with an asymmetrical long fringe brushed over and falling onto the side of the face. In this picture, the dark hair has been shaved with two off center canted partings. 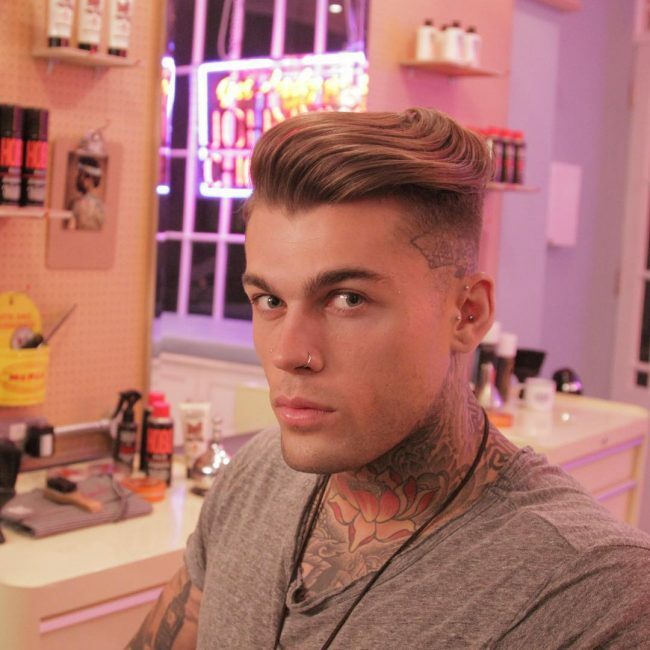 The sides are slightly shorter than top hair. 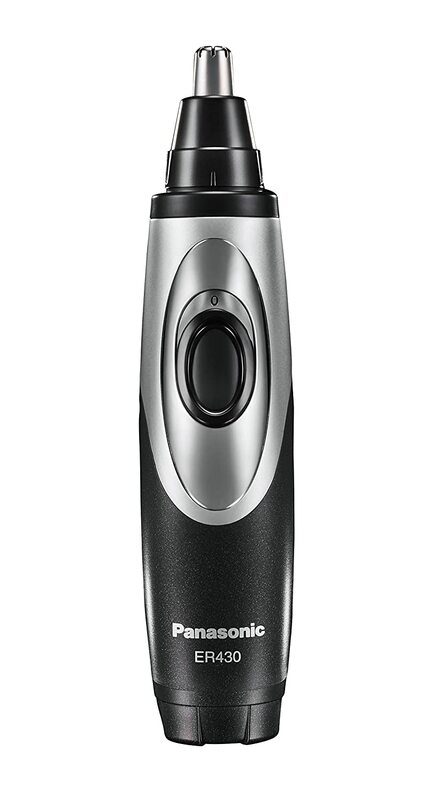 Here the dark, tightly curled hair has been trimmed into rounded step shapes by carefully grading the length of the hair down again and again. This is an interesting style – sure to grab attention. 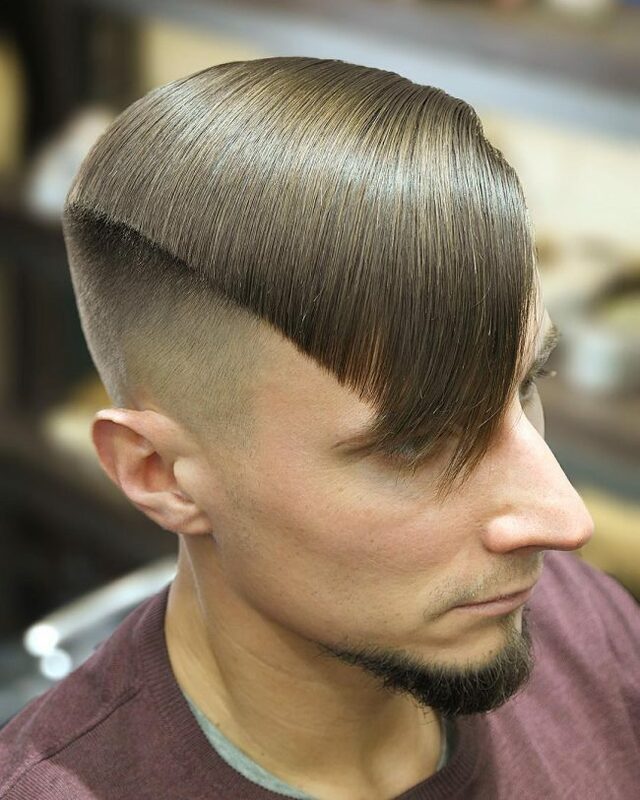 This guy has had his hair styled with a high undercut and longer hair on top. The hair has been dyed an ice-blonde hue and given a messy tousled look. 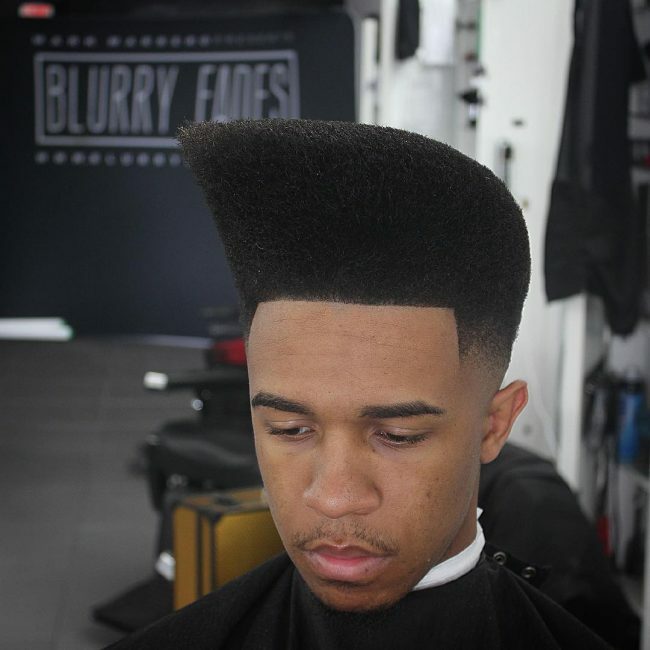 The borders of this cut sit in a square shape over the face and the Afro itself has been snipped into an angular shape that looks as though it leans forward slightly. 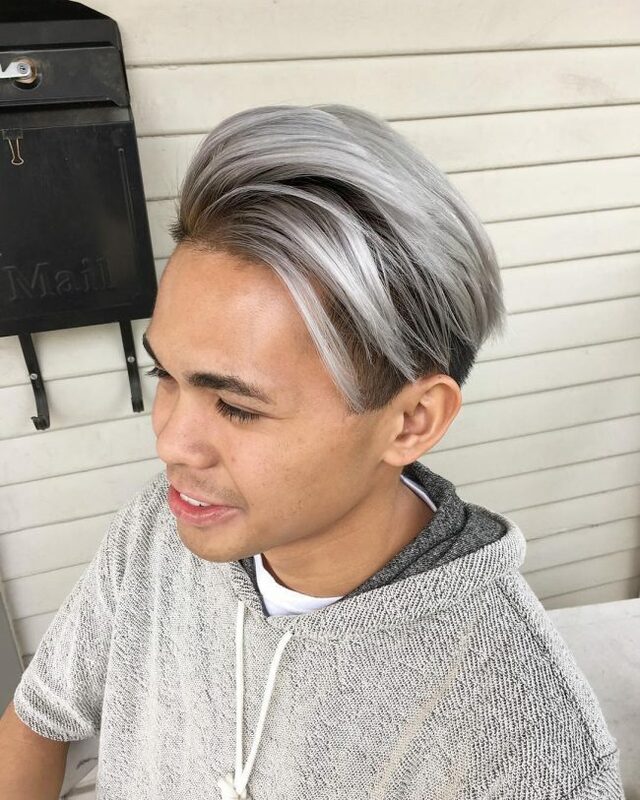 In this photo, the darkly shaded hair has been scissor cut to give it loads of texture and been highlighted with thick streaks of ash white. The fringe was straightened and combed to neatly fall against the side of the face. Shine has been added to this sable colored hair with the addition of chestnut highlights. The hair has been blown out and given a loose side parting. 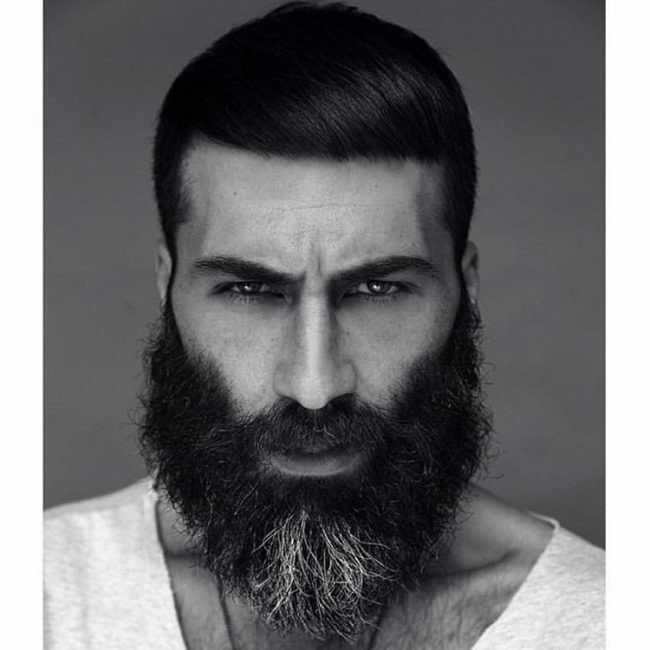 Here the dark colored hair has been given an undercut and top hair has been styled to fall from the middle of the head down over the forehead. This hair has been dyed a shiny sea green that is sure to turn a few heads! The roots are rosewood colored and have been blended into a shiny copper brown. 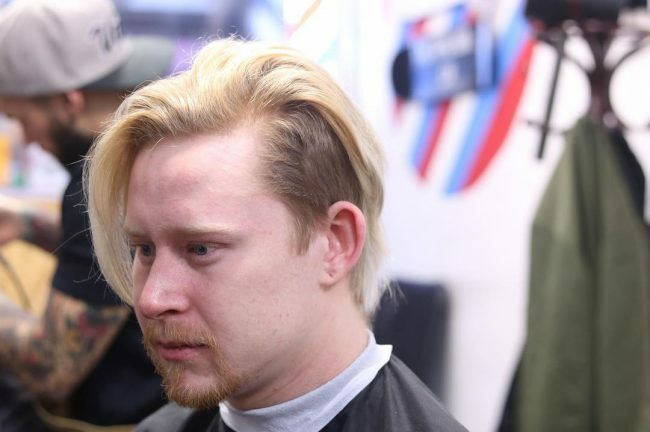 The hair has been given an off-center parting and then combed up over the forehead. 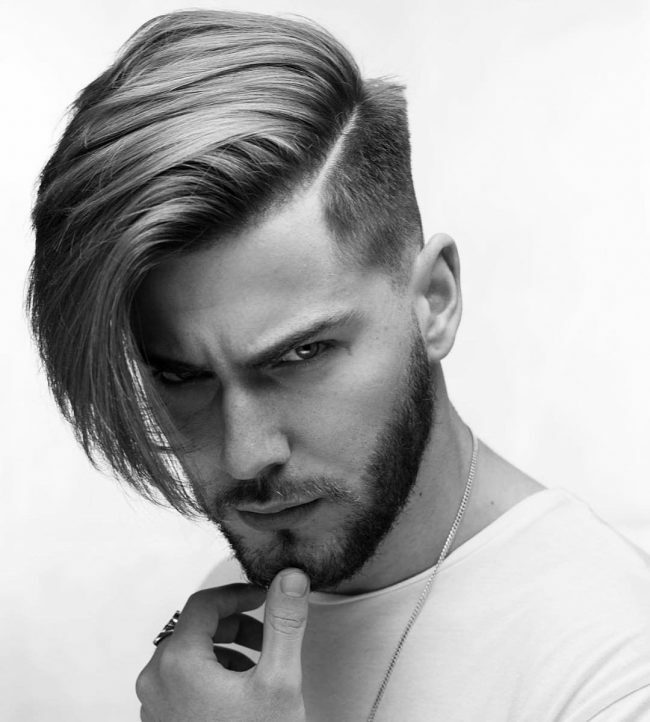 Triangular shaved shapes along the forehead and a thick, defined center parting dominate this hairstyle. 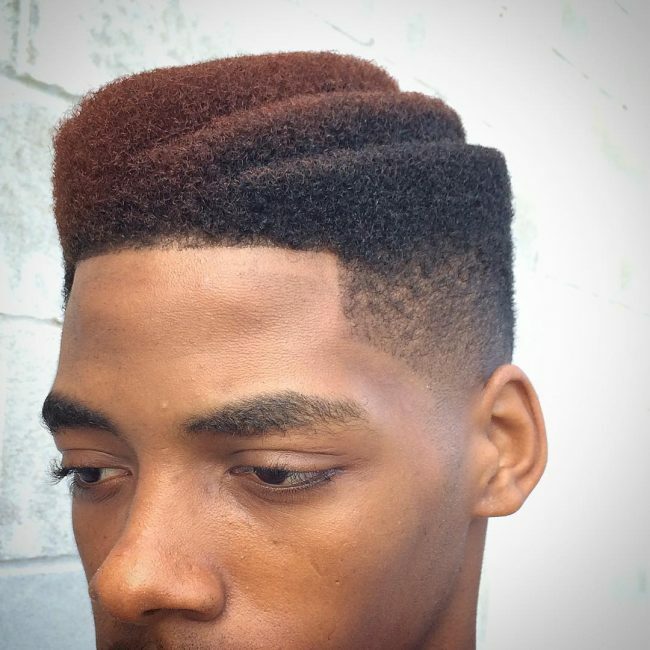 The hair is neatly clipped on the left and longer with a wave on the right. 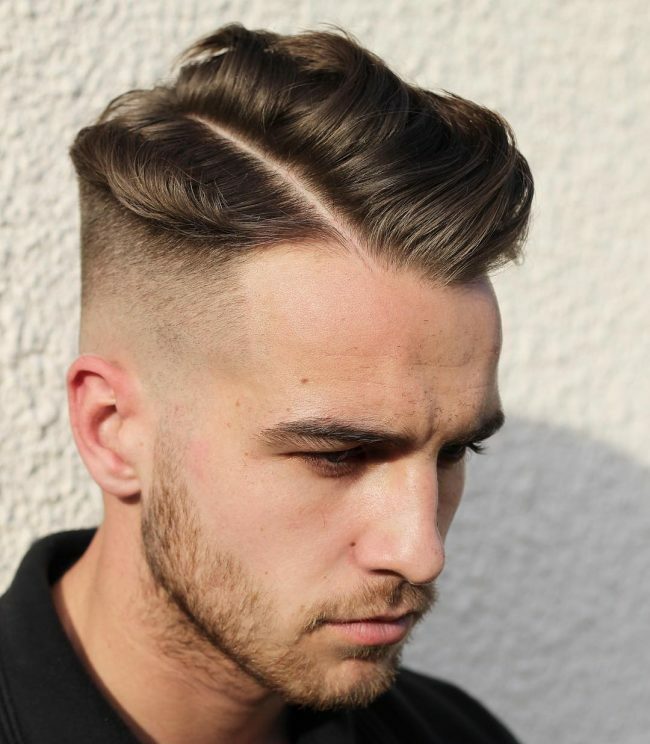 This style has been given a messy, unstructured side parting with longer hair on the right side. This mahogany colored hair has been blown out and ruffled to create a hip look. 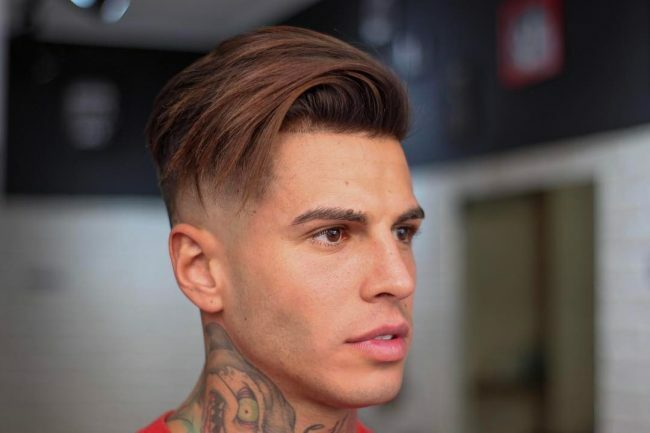 This guy has had his shiny russet colored locks cut short along the sides, then styled his hair to fall to the right in smooth waves. A thick curl falls over his face – romantic! In this picture, we see a dark undercut with all the long hair from the crown brushed down to fall over the face in beach blonde waves. Here we see dark locks that have been combed straight back with just a small lift. The sides are slightly shorter but well graded into the top hair. This look was made popular in the 50’s and is making a comeback again! 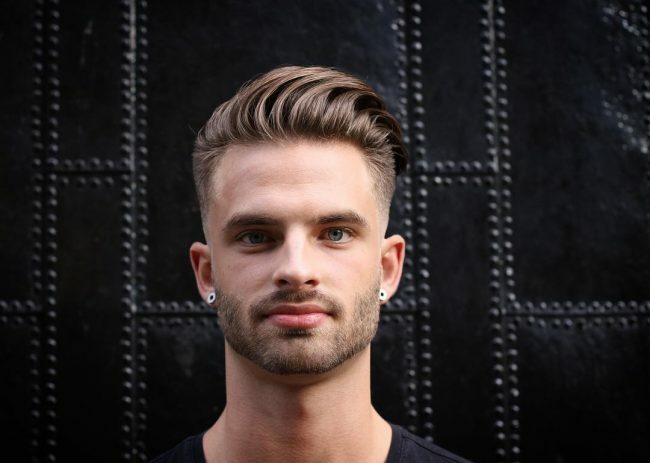 Not one hair is out of place in smoothed brushed back vintage style with a high fringe. Feeling inspired yet? 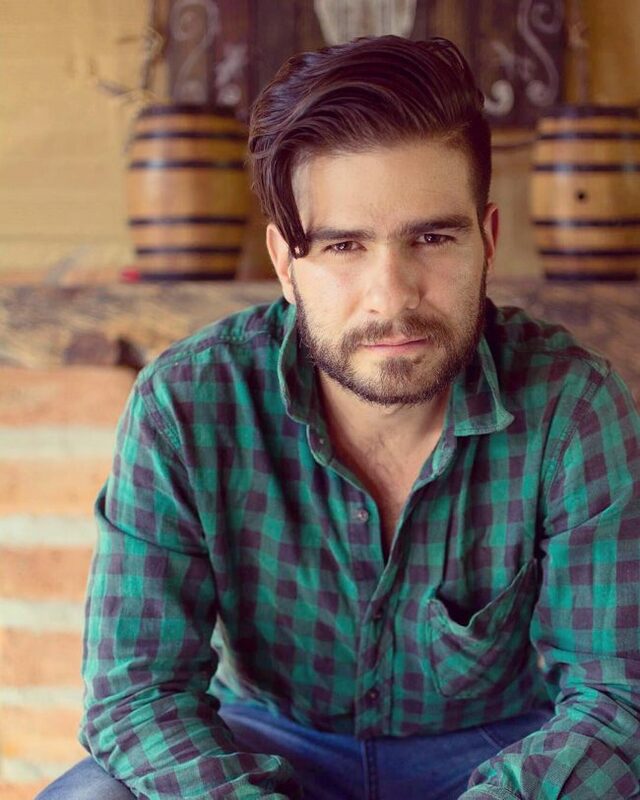 You are sure to have gotten plenty of hairstyle ideas from these pictures. 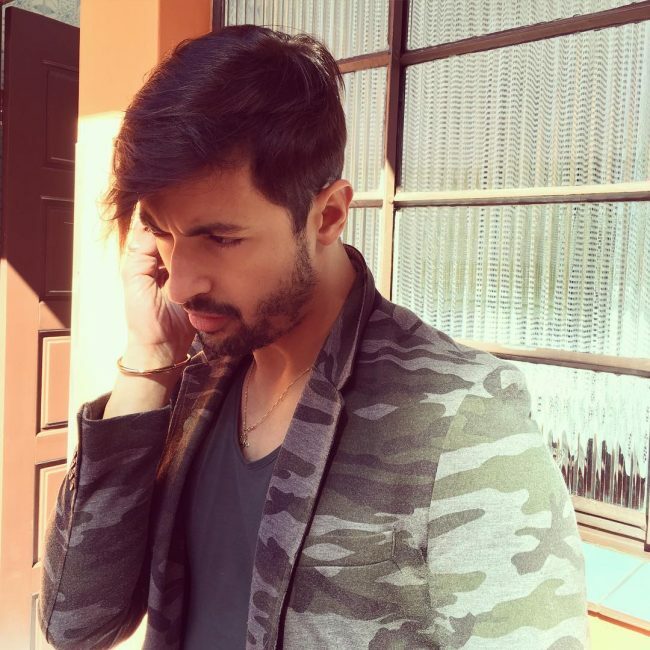 Remember an asymmetrical hairstyle for men can be varied for both work and play, and you can choose to make it more dramatic if you wish – the only limit is your imagination.